Grab your popcorn and take a seat to enjoy Trans4M’s Summer Showcase Blog Series! The series will showcase our talented member groups as they embark on a summer filled with events and activities. But don’t just read about all the activities, join them! Make your summer one to remember with Trans4M and our one-of-a-kind member groups. In our second blog post, we highlight the Crim Fitness Foundation. Crim is a nonprofit organization out of Flint committed to serving a leadership role in advancing the national agenda for improving health in Michigan communities. The group hosts events such as exercise programs and races throughout the year. We spoke with Crim’s Communications and Outreach Manager, Theresa Roach, to learn more about Crim’s summer programming. The starting line for the 2013 HealthPlus Crim Festival of Races. The target participation for the 2015 Festival is 15,000. Crim Fitness Foundation is a Michigan leader in improving health and wellness with a focus on reducing childhood obesity. Since 1977, Crim has promoted physical wellbeing through special programming and races that are the gem of Michigan’s extensive race season. 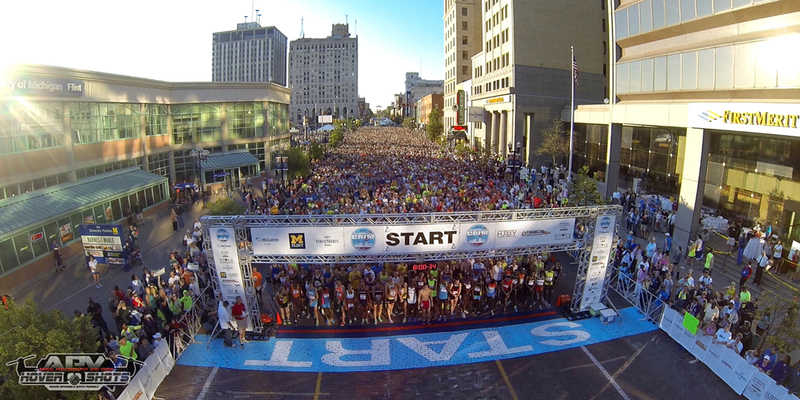 The HealthPlus Crim Festival of Races has made Flint a destination for runners and walkers from across the country and internationally, including participants from Kenya, Russia, Ethiopia, Germany, Great Britain and more. This year’s festival begins on Friday, August 21 and includes the 2015 USATF Masters Mile National Championship. Saturday’s festivities continue with a 10 mile, an 8K, a 5K, and a short 0.29 mile “trot” for kids. This year the new MLive Made in Michigan Award will be awarded to 1,000 10-mile racers from Michigan whose finish times rank them among the top 10-mile racers nationwide in their age category. The Health and Fitness Expo, an exhibition of businesses and organizations with health and fitness related products or services, will kick off the race on Thursday and run through Saturday, making Flint the place for health and wellness-related activity during this August weekend. Many participants will have spent weeks, even months, in the lead-up to the race training and practicing a healthy lifestyle. Crim’s Communications and Outreach Manager, Theresa Roach, calls the event a “community-wide celebration of being active all year.” The event encourages residents to engage in healthy behaviors and practices for the race, but in the process can create long-term healthy choices and habits. Crim coordinates a weekly fitness program for adults that offers guidance, companionship and entry in the race of your choice at the Festival. Crim also hosts a summer running club for kids in the lead-up to the Crim Kids Invitational Race on August 14. The Kids Classic race in 2014. The 2015 Teddy Bear Trot is part of the Festival of Races and begins Saturday, August 22 at noon. 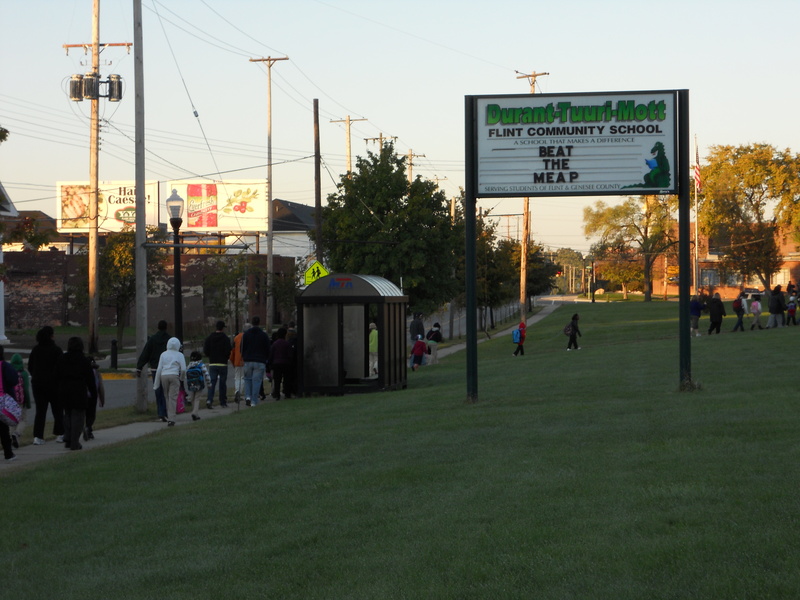 Crim begins this process of revitalization with the youngest Flint residents: school children. 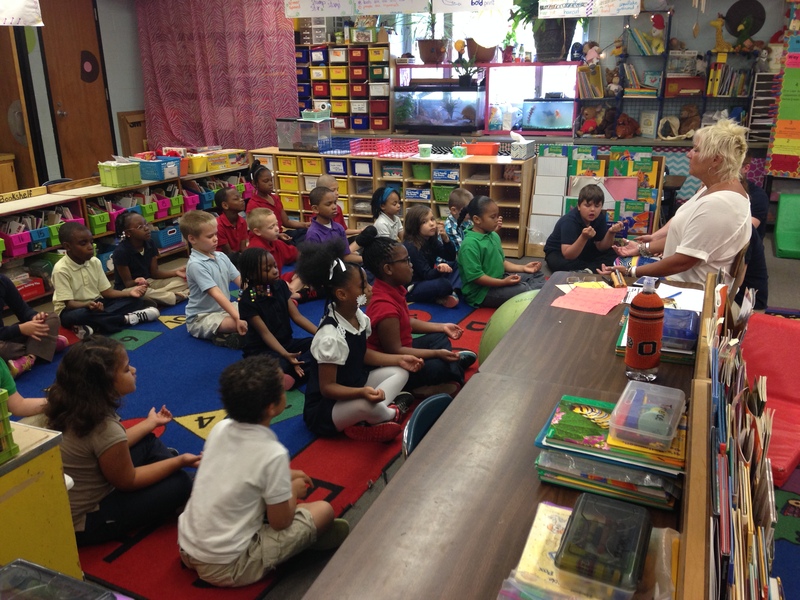 During the 2013-2014 school year, Crim held programs in 44 different schools for nearly 19,000 students. One way the organization does that is through the Safe Routes to School Program, which encourages non-motorized transportation as a viable method for getting to school. Crim helps facilitate large infrastructure grants to help schools improve sidewalks. The condition of the sidewalks surrounding schools is just as important as the safety of the neighborhood when parents decide whether their children should walk to school or not. The program also facilitates group walks to school, including teachers, and other volunteers, instead of parents hopping in their car to drive their child less than 5 blocks to school. In turn the creation of safe neighborhood spaces for children to walk to school helps to create an improved biking and walking situation for everyone in the neighborhood. Crim helps community schools with the Safe Routes to School program and empowers students with the ability to bike and walk to school safely. Representatives from Crim, including Roach, have been working with the community and the local government to implement the City of Flint Master Plan. Roach sits on the transportation and mobility workgroup, which provides a voluntary walkability assessment for the entire community. Volunteers provide data to create a basis by which the city can most effectively apply their limited resources. The information can also be used to apply for grants to stretch limited resources. In 2013, between races and local clubs, more than 35,000 people participated with Crim. Crim has developed deep roots of community involvement in the hopes of revitalizing the Flint community through health and wellness. Non-motorized transportation advocacy is just one area of their concern. Crim wants to create an equitable system of transportation for all community users. Crim provides teachers, support staff and parents with Mindfullness Training for Flint community schools. Trainings are conducted from 9 am – 4:30 pm at the Flint Farmers Market. Registration for the HealthPlus Crim Festival of Races is open, or you can volunteer to help with the race or the Expo. Other race and program information, such as their Summer Running Clubs and Mindfullness Training, is available on the Crim website. For additional information about any of Crim’s programs and races, contact Theresa Roach, Crim’s Communications and Outreach Manager, at troach@crim.org. Images used with permission from Crim.